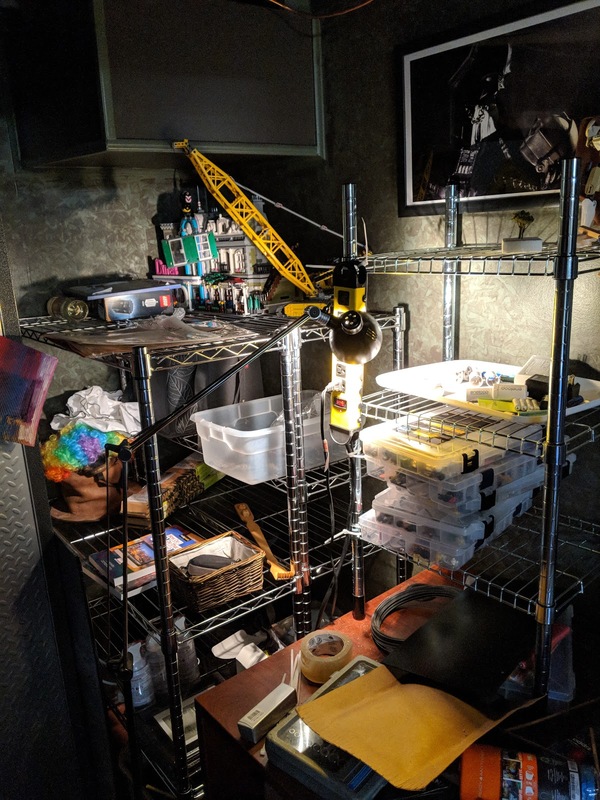 So my studio, which is a small 8x8(-ish) space in my basement, is always cluttered. I keep in there a lot of things - all my photography gear, the vast majority of my LEGO collection, my workstation with two monitors, and enough desk space to shoot my shots. As you can imagine, space is at a premium. So I made some space. I had a 3ftx3ft corner with a very small wire shelf in it. Recently I added two shelves, which fills that corner, and increases my storage space by roughly 10x. This should allow me to find homes for all my gear and toys, and stop fighting my cramped space. Thereby I can concentrate more on the art. It is gonna take a while to get everything sorted - it is a boring job so I am doing it a little bit of a time, but I'm making progress, and already seeing dividends.